AUGUSTA, Ga. — Let us take nothing away from the majesty that was Tiger Woods’ Sunday victory. But we’d be remiss to ignore those that fell just short. After all, every golf tournament has far more losers than winners. How bad should Woods’ competitors feel? There were so many players in the mix on the back nine that it makes sense to comb through each of their respective chances to win — and how those chances slipped away. Here’s each player that could have won the 2019 Masters, and on a scale from 1 (gentle brush with the lead) to 10 (going full Roberto D. Vicenzo). In the end, they all fell victim to Tiger Woods. Some even seemed to like it. Let’s get started. When he might have won: Standing on the 18th tee at 12 under, D.J. knew he needed birdie. He had a chance to hit that signature bullet-cut driver and have wedge left to that vulnerable front left pin position. When he might have won: Cantlay took the outright lead — The outright lead! By himself! — when he made eagle at No. 15 to get to 12 under. The moment he lost: The very next hole, when Cantlay stuck his tee shot high and right, on the wrong side of the ridge on No. 16. One three-putt later, Cantlay’s chances were all but done. Another bogey at 17 was the final nail in the coffin en route to a T9. How bad was it? 2 out of 10. Sure, it’s great to have the outright lead, but remember: This guy started the week 73-73! No shame here. Xander Schauffele held the Masters lead on No. 14, but couldn't quite close. 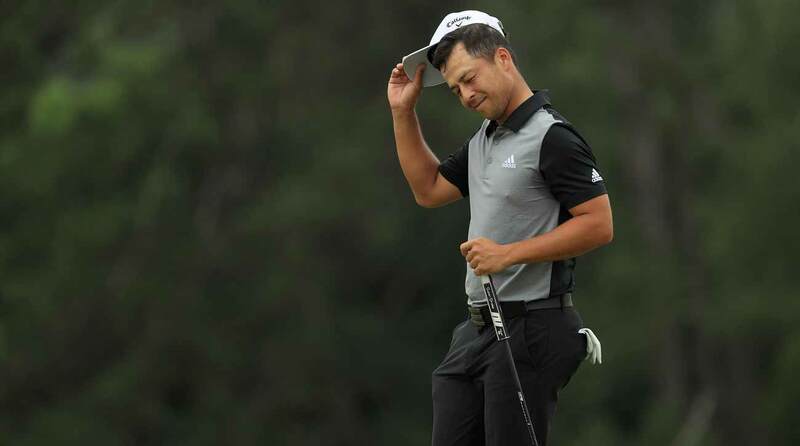 When he might have won: Schauffele stepped up to the 15th tee on Sunday at 12 under par and in a share of the Masters lead. No. 15 was averaging 4.64 strokes for the day and had yielded 31 bogeys against just 20 pars. Opportunity, thy name was Xander. The moment he lost: It wasn’t until Schauffele hit his second shot at 18 that his tournament hopes were done with. “Chunked it,” Schauffele said from the fairway bunker. Credit to him for saving par. How bad was it? 3 out of 10. This had much more to do with opportunities missed than mistakes made. Sure, 15 and 16 were prime chances on Sunday. But Schauffele seemed delighted to have lost to Woods. “It’s hard to really feel bad about how I played, just because, you know, I just witnessed history,” he said. When he might have won: Tony Finau stepped to the 12th tee with a chance to tie for the lead; Francesco Molinari was up three at 13 under, but his ball was in Rae’s Creek. Brooks Koepka was in contention until his final putt at the Masters. When he might have won: On No. 12 tee, down two but holding strong. On No. 16, tied for the lead. On No. 18, staring at a short birdie putt to post 13 under, the eventual winning score. The moment he lost: Technically it was when that birdie putt slipped past the hole on 18, but really it was that miscalculated iron shot that ended up in Rae’s Creek on 12. He needed an eagle at 13 just to get those two shots back; that proved too big a deficit to overcome. How bad was it? 5 out of 10. Koepka owned a share of the lead on the back nine on Sunday; for him to miss opportunities at 17 and 18 will stick with him. Still, this was an eloquent Koepka. I mean, have you ever heard the guy like this? “That was probably the coolest back nine in a major championship I’ve ever been a part of, or just in golf in general. I think with so many guys going up and down, the lead’s kind of changing hands, depending what hole you’re on. 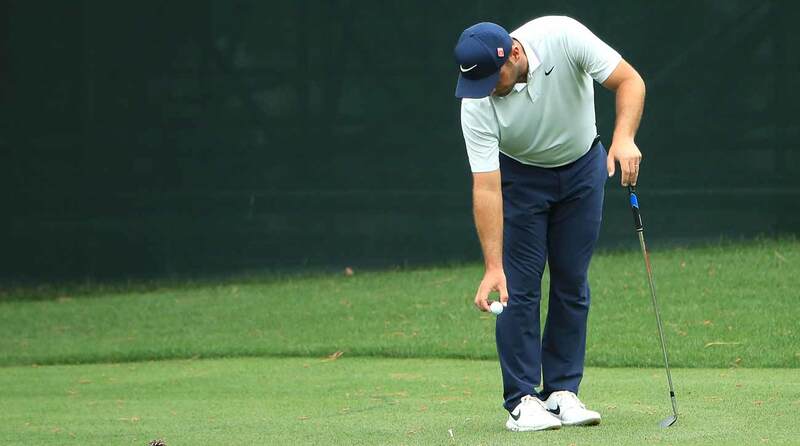 Francesco Molinari had two big-time miscues down the stretch that cost him a chance at the 2019 Masters. When he might have won: For a while, Francesco Molinari’s demeanor, his putting stroke and his ability to fix any mistake felt like a steady climb towards inevitable victory and reminded viewers that eventually, the machines will overtake us all. The moment he lost: A slight tear in the fabric of the universe came at No. 12, where the wind swirls and confounds the mind and body. Molinari said afterwards that his error was executional; in his words, “I think we picked the right shot and just didn’t hit it hard enough, as simple as that.” Still, that was only enough to give up his two-shot lead. The dagger came at 15, where Woods found the green in two and Molanari found it in six due to a tree branch/pond duo. How bad was it? 7 out of 10. It wasn’t good! The back nine is supposed to yield fireworks, but all Molinari could find was heartbreak and double bogeys. In the end, we were all winners. You could hear it in the post-round remarks: Koepka, Molinari, Fowler and Schauffele were among those who expressed their gratitude just to be there for Woods’ final re-arrival. Now that he’s won, there’s only one option: Dethroning him once again.